We must remember that the kitchen is a gathering place, a space to cook and enjoy meals with family and friends, as well as to relax with a cocktail or glass of wine. Thus, the look and feel of the kitchen should incorporate your own personal style and serve to be functional and practical for everyday life. Our goal is to create a personalized space where cooking, enjoying meals, and entertaining can blend seamlessly into your everyday life. Our custom refacing and custom kitchen cabinets can help you create the perfect look and feel your family and home deserve. Green and Eco-friendly Kitchen, Custom Made with Bamboo. HEMA Design’s will help you to envision and then create a kitchen that will become an extension of your style and personality. We listen to your concerns and ideas about the functionality of your kitchen as well as the look and design that you would like to incorporate and we design several options from you to choose from. 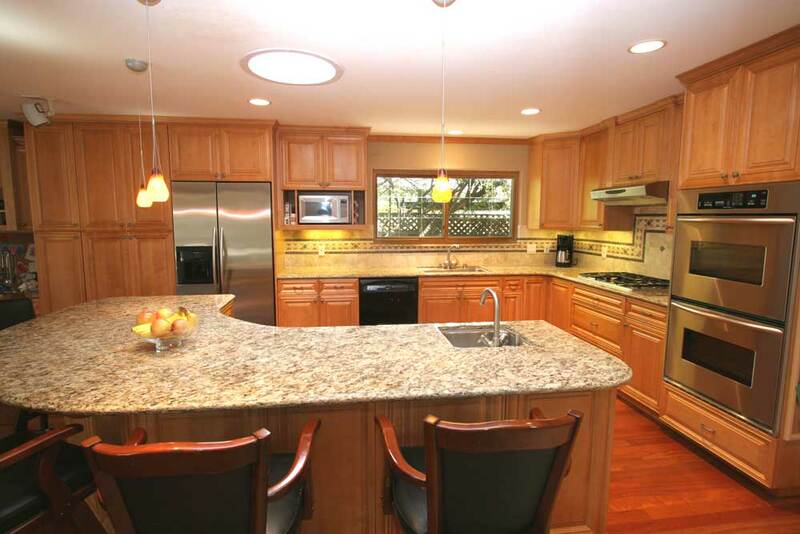 You can feel confident in the quality of your kitchen cabinets because they are made only a few miles away in Downtown San Jose by local craftsmen, who are dedicated carpenters and cabinetmakers. We use only the finest European hardware for your hinges and drawer glides and pride ourselves in the construction of your drawers and shelves, all made from solid wood. Your cabinets made from solid wood are stained with non-toxic, water based stains that reduce the amount of harmful pollutants in the air. Furthermore, since we are focused on cultivating a more sustainable model for custom cabinetry and refacing in the Bay Area, you can choose from a variety of woods harvested from sustainable forests and forests approved by the Forest Stewardship Council (FSC). More importantly, we want to encourage the use of Bamboo as one of the most ecologically friendly woods for cabinet-making in the world. 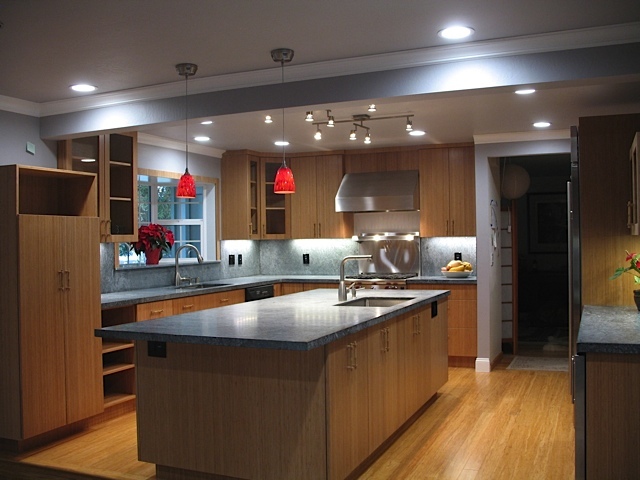 This strong, durable, and beautiful wood will revolutionize the kitchen cabinet industry. While other cabinet makers in the Bay Area may advertise custom cabinets, we are the real deal. You can come to our shop, only a few minutes from the San Jose airport, to view the entire process, from start to finish, of the creation of your cabinets. You can watch as your custom kitchen cabinets come to life before your very eyes. This allows for more control over the process as well as the joy of knowing your cabinets were made in the U.S.A. by local cabinet makers dedicated to this most noble craft.